CES 2015: German car manufacturer Volkswagen has debuted a gesture-controlled concept model of its popular Golf car at the Consumer Electronics Show in Las Vegas (+ slideshow). 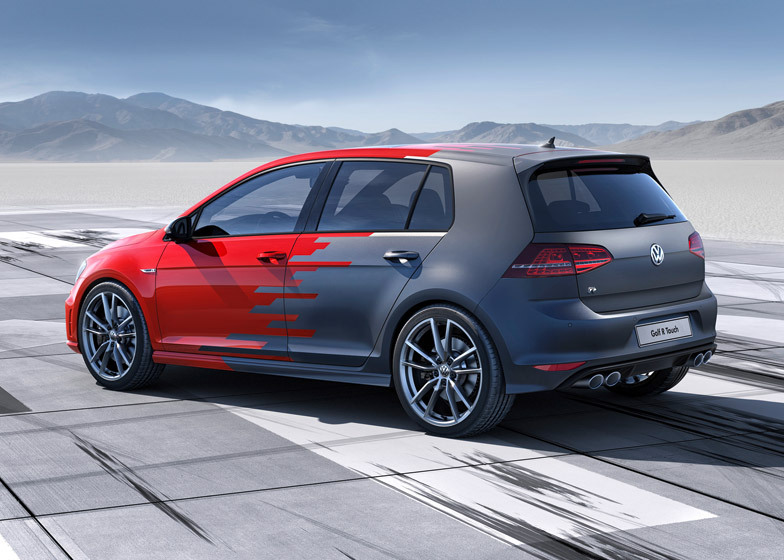 Volkswagen has presented what it describes as "the first compact model in the world whose control elements are operated using hand gestures". The technology makes it possible to control displays and functions by means of hand movements without having to touch a screen – a function the brand suggested it would be introducing across its designs in the "medium-term future". "A swipe gesture toward the windshield causes the sunroof to close, while the same movement in the opposite direction will open it," explained a Volkswagen spokesperson. Three computer screens have been incorporated into the vehicle's interior to enable the gesture-controlled capability, and also replace conventional dials and displays. All of the screens can interpret hand gestures and convert them into commands, meaning a driver could also potentially change radio stations or answer a phone call with a simple movement. A large digital display is positioned in the centre of the dashboard with a separate display placed below it. This also delivers haptic feedback to the user, creating a vibration or a force of resistance in mid-air letting the user known their gesture has been recognised. A final display replaces the instrument panel behind the steering wheel and can be altered depending on the individual user's information requirements or preferences. 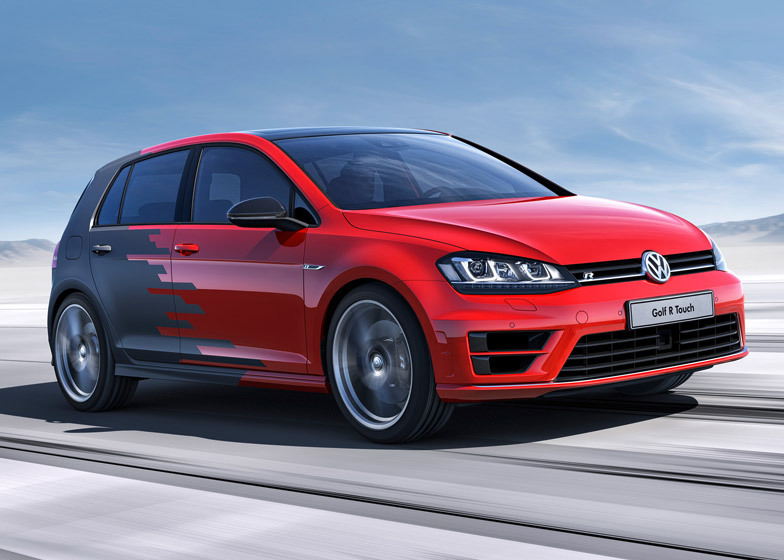 Although the Golf R Touch is not a self-driving car, Volkswagen also announced continued developments in the field of autonomous vehicles that could soon allow drivers to monitor their car's journey with a smartphone. "The two inventions of the century, the car and the computer, are gradually converging," said Volkswagen's CEO Martin Winterkorn. "We need to design future mobility to be even more intelligent and networked." One step towards Volkswagen's vision of a networked future is called "trained parking" – a functionality that will be developed uniquely for each vehicle, collecting data over a given period of time specific to each driver and the routes they travel. "This system enables the vehicle to scan a frequently travelled route to a parking space, store the data, and then repeatedly re-travel the route in a partially automated manner," explained Winterkorn. As a consequence, drivers could exit the vehicle on arrival at a car park or a location nearby, leaving the task of finding a space and parking to the vehicle itself. 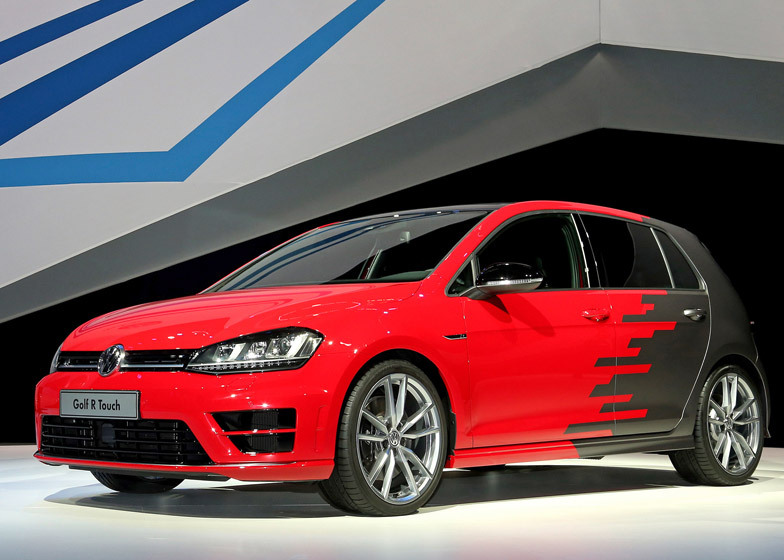 The company's final reveal at the Las Vegas show was the e-Golf Intelligent Charge, which features an inductive method of charging electric vehicles without the need of plugs and cables. Instead, the vehicle would simply dock above a charging plate for power replenishment. Also at this year's Consumer Electronics Show, Mercedes-Benz showcased its visionary autonomous vehicle designed to function as a living room on wheels, and Gogoro unveiled its scooter and accompanying battery-swapping infrastructure, designed with the aim of dramatically reducing pollution in megacities.